William Blake was born on 28th November 1757 in London to parents of modest income that could only afford a basic education of reading and writing although he did attend a drawing school for a short time. His artistic skill was apparent relatively early and at the age of 14 he stopped working in his father's hosiery shop and became an apprentice engraver. This apprenticeship finished when he was 21 and at 25 he married Catherine Boucher. He taught her to read and write and together in 1789 they published Songs of Innocence with text and engravings printed from copper plates and illustrations finished by hand with watercolours. It did not sell well and throughout his life he remained largely unrecognised often on the verge of poverty. This led to a deep depression for many years and he was often considered mad by his contemporaries. His creativity and imagination with its undercurrents of mysticism, spiritualism and philosophy are apparent in this selection of poems and whilst classed as a seminal figure in the Romantic Age it wasn't until the late 19th century that his work was recognised. The 20th century saw an even greater appreciation of his poetry with Blake's voyage beyond the rational and material chiming with the Beat poets, Dylan, Van Morrison and Jim Morrison of the band the Doors , named after Blake's phrase Doors of Perception from his poem Marriage of Heaven and Hell. Further acclaim has been attributed to him from many scholars of art, psychology and of course literature. His poems have inspired composers such as Vaughn Williams, Britten and Taverner and Jerusalem a hymn still sung today. Blake's vivid and intense work is still relevant to all to this day and he is recognised as a saint in the Ecclesia Gnostica Catholica. 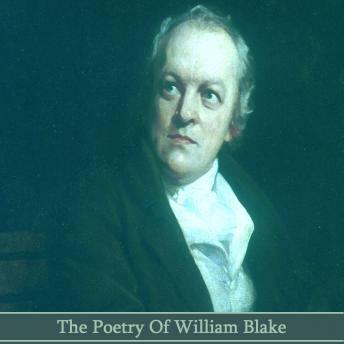 William Blake died on 12th August 1827 and in 1957 a memorial was erected at Poet's Corner in Westminster Abbey. Here we present two of his exceptionally fine epic poems.